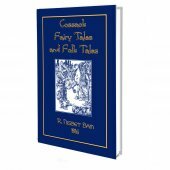 Herein you will find 25 of Euopes finest fairy tales. 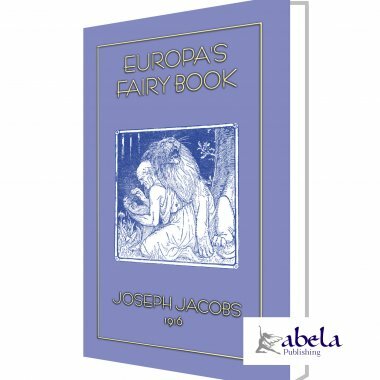 This was the sixth and last time that the famous folklorist Joseph Jacobs teamed up with the equally famous illustrator John D. Batten to produce yet another volume of exquisite fairy tales. Not only exquisitely told, but also exquisitely illustrated with 48 BnW illustrations. Created especially for his granddaughter, Peggy, here you will find the tales of THE CINDER-MAID, ALL CHANGE, THE KING OF THE FISHES, SCISSORS, BEAUTY AND THE BEAST, REYNARD AND BRUIN, THE DANCING WATER, THE SINGING APPLE, AND THE SPEAKING BIRD, THE EARL OF CATTENBOROUGH, THE UNSEEN BRIDEGROOM, THE MASTER-MAID and many more. 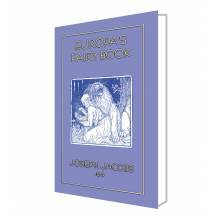 In this volume Jacobs brought together these common Folk-Tales of Europe, retold in such a way as to bring out the original form from which all the variants were derived. So if the tales herein seem a little different to the tales you remember, its because these have been retranslated and more of the original has been retained with regional and national variations being kept to an absolute minimum. This may lead to children crying out "That was not the way you told us before." 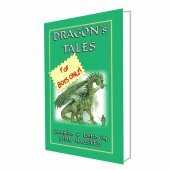 Thats because these tales are closer to the originals than previously published. In explanation, Jacobs has included sixty eight pages of explanatory notes detailing his methodology and the differences. "You both seem to be right and you both seem to be wrong, and I do not know how to decide; so I will leave it to yourselves in this way: whichever of you can answer best the three questions I am about to ask shall win this trial. What is the most beautiful thing? What is the strongest thing? and, What is the richest thing? Now go home and think over your answers and bring them to me to-morrow morning." "What is the most beautiful thing?" And he answered, "My wife." Then he asked him, "What is the strongest thing?" "And what is the richest?" And the farmer answered, "Spring." Then he asked him, "What is the strongest?" Then he asked, "What is the richest thing?" "I fancy those arrows did not come from your quiver. Who told you how to answer so cleverly?" Then the farmer said, "Please your Majesty, it was my daughter who is the cleverest girl in all the world." "Is that so?" said the King. "I should like to test that." "It is only half-moon and the th of the month and the rooster has flown away to the mill; but spare the pheasant for the sake of the partridge." "You have eaten half the cake and fifteen of the biscuits and didn't hand over the capon at all." "I would have punished you severely but that this Clever Girl begs me to forgive the pheasant, by which she meant you, for the sake of the partridge, by which she meant herself. So you may go unpunished." When the farmer's daughter received this message she went near the King's palace, and having undressed herself wrapped herself up in her long hair, and then had herself placed in a net which was attached to the tail of a horse. With one hand she held a sieve over her head to shield herself from the sun; and in the other she held a platter covered with another platter. The King was so delighted at the way in which the farmer's daughter had solved the riddle that he immediately married her and made her his Queen. And they lived very happily together though no children came to them. The King depended upon her for advice in all his affairs and would often have her seated by him when he was giving judgment in law matters. "Let the first man have it," who happened to be the peasant whose cart was drawn by the horse. 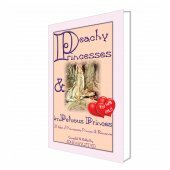 Now the Queen was vexed that her husband should have decided so unjustly, and when the court was over she went to the other peasant and told him how he could convince the King that he had made a rash judgment. So the next day he took a stool outside the King's window and commenced fishing with a fishing-rod in the road. "As many as foals that come from a horse." "That arrow never came from your quiver." "How dare you interfere in my judgments?" "Then you ought to have spoken to me, not shamed me before my people. That is too much. You shall go back to your father who is so proud of you. And the only favour I can grant you will be that you can take with you from the palace whatever you love best." "Your Majesty's wish shall be my law," said the Queen, "but let us at least not part in anger. Let me have my last dinner as Queen in your company." "Where am I, and why are you still with me?" Then the Queen said, "You allowed me to take with me that which I loved best in the palace, and so I took you." Then the King recognized the love his Queen had for him, and brought her back to his palace, and they lived together there forever afterwards.